ELY – The Bureau of Land Management (BLM) will meet with the Mojave-Southern Great Basin Resource Advisory Council (RAC) at 8 a.m., Friday, April 24, at the BLM Southern Nevada District Office, 4701 N. Torrey Pines Dr., in Las Vegas, Nev. The RAC advises and makes recommendations to the BLM on public land management. Discussion items will include, but are not limited to, the Southern Nevada District Resource Management Plan, Dry Lake Solar Energy Zone and Mitigation, and Transmission and Corridors. The meetings are open to the public and provide the public an opportunity to make comments to the citizen-based council. A public comment period is scheduled at 11:15 a.m. The public is encouraged to attend and provide comment. Written comments can also be submitted to the RAC Coordinator, Chris Hanefeld at the Ely District Office, 702 North Industrial Way, HC 33 Box 33500, Ely, NV 89301. The agenda is available online at http://bit.ly/MOSORAC. The Federal Land Policy and Management Act directs the Secretary of the Interior to involve the public in planning and discussion of issues related to management of BLM-administered public lands. The Mojave-Southern Great Basin RAC is one of three such councils in Nevada that accommodate this community participation directive. Represented on the council are commercial and non-commercial users including environmental, livestock, mining, Native American, and wild horse and burro interests and elected officials and state agencies. Wild horses are quickly being wiped out in Wyoming. Governor Mead encourages roundups and removals at federal taxpayer expense. Mead seems to be owned by the oil and gas industry so it’s no surprise he’s getting rid of their environmental obstacles. Governor Matt Mead expressed that he is proud of Wyoming’s record of effective regulation of the oil and gas industry in his comments on the Bureau of Land Management’s proposed rule for hydraulic fracturing. 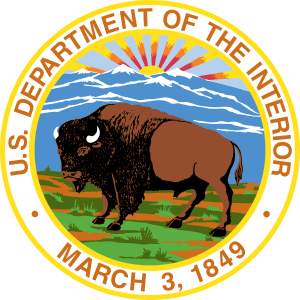 Governor Mead wrote to Secretary of the Interior Sally Jewell to say that the BLM should reject the duplicative regulation and defer to states like Wyoming. Given state leadership is already in place in Wyoming, Governor Mead expressed concern that the new BLM rule would add to existing delays and undercapitalization of federal permitting. Another area of concern is the BLM’s effort to grant variances to allow compliance with state or tribal requirements when those meet or exceed the federal rule or standard. What is troubling is that the ability to acquire variance is given to operators, not states or tribes. “Despite BLM’s contention that states will be afforded opportunity to work with the BLM to craft a variance, the mechanism in the rule only allows operators to pursue a variance,” Governor Mead wrote. The Governor requests a reconsideration of this provision and that the BLM not expand its administrative footprint in Wyoming. “Wyoming has led the nation in regulating hydraulic fracturing, and the BLM should allow us to continue that leadership,” Governor Mead said. LAS VEGAS— The Center for Biological Diversity filed a lawsuit in U.S. district court today to halt a right-of-way needed for the Southern Nevada Water Authority’s long-proposed pipeline (commonly known as the “Groundwater Development Project”). If allowed to proceed, the pipeline would siphon more than 27.3 billion gallons of groundwater each year from the desert of eastern Nevada and pump it more than 260 miles to the Las Vegas Valley. The controversial $15.5 billion project would have profound effects on people, wildlife and Nevada’s natural heritage. The Groundwater Development Project would, by the authority’s own admission, dry up or “adversely affect” more than 5,500 acres of meadows, more than 200 springs, 33 miles of trout streams, and 130,600 acres of sagebrush habitat for sage grouse, mule deer, elk and pronghorn as water tables plunge by 200 feet. The greater sage grouse is an upland bird species, iconic and completely dependent on sagebrush habitat for its existence; the U.S. Fish and Wildlife Service found the bird to warrant protection under the Endangered Species Act in 2010. Its numbers have plummeted by more than 50 percent in recent decades due to fragmentation and loss of habitat (more of which would occur with the Southern Nevada groundwater pumping project). The Fish and Wildlife Service must make a decision on listing the bird for protections under the Endangered Species Act by 2015 under a settlement agreement with the Center. At least 25 species of Great Basin springsnails would also be pushed toward extinction, and 14 species of desert fish would be hurt, including the Moapa dace and White River springfish. Frogs and toads would fare little better, with four species severely threatened by the dewatering. In the lawsuit the Center argues that the U.S. Bureau of Land Management violated the National Environmental Policy Act and Federal Land Policy and Management Act in approving the groundwater development project. The suit asserts the agencies failed to analyze impacts from permanently and irreversibly impairing the water springs, groundwater wetlands and wildlife habitat in the project area; failed to consider climate change; failed to adequately disclose how the project would comply with requirements of the Clean Water Act; and failed to comply with the Resource Management Plan in effect for the area. The Center has asked the court to order the BLM to prepare a supplemental environmental impact statement that addresses the flawed analysis, as well as to enjoin the agency from implementing any part of the project until it can be judged to be in full compliance with the law. 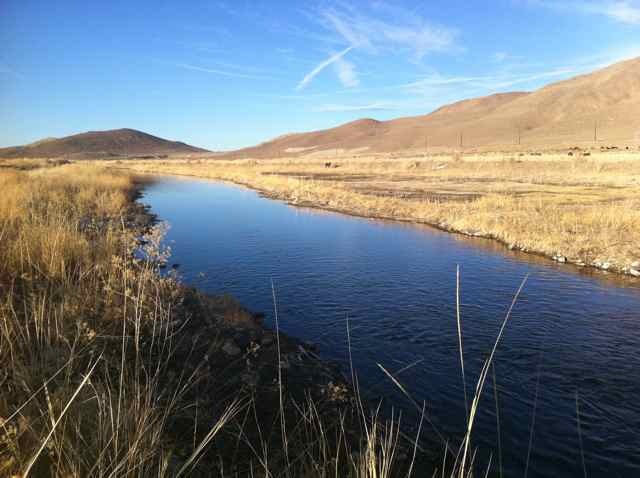 On Dec. 19, 2013, the Center notified the BLM that due to the decision by the district court, the agency must withdraw its “record of decision” for the groundwater development project and reevaluate the proposed project and its purpose and need. 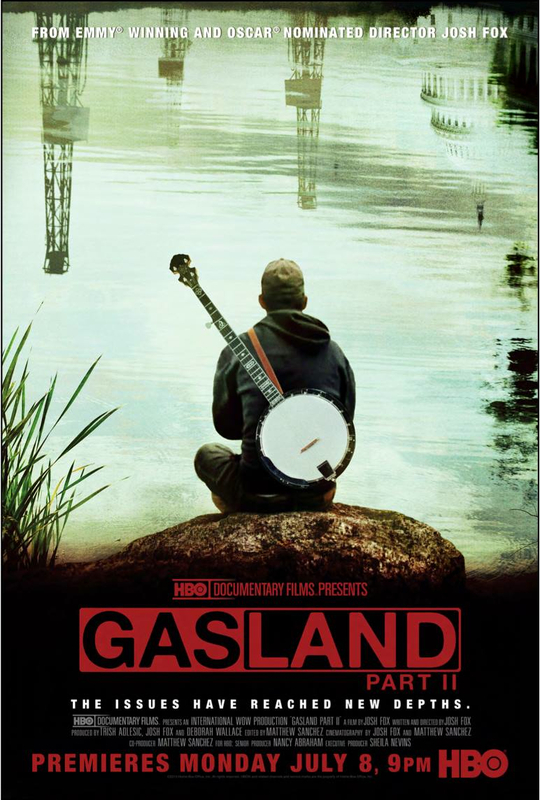 Under the Federal Land Policy and Management Act, an applicant for a right-of-way for a pipeline must have a valid existing right established under state law, which the Authority in this case does not. The BLM has not responded to the Center’s letter. The Center has actively opposed this water grab since 2006. In 2010 and 2011 it filed hundreds of formal protests with the Nevada state engineer opposing the award of water rights to the Water Authority; it was these rights that were stripped by the state district court. The Center is a member of the Great Basin Water Network, formed in 2004, a broad coalition of government agencies, American Indian tribes, organizations and individuals opposed to this groundwater development project of whose board Rob Mrowka is a member. The Water Network will also file suit against the pipeline right-of-way, as may other individual entities in the Network. The groundwater development project is projected to cost over $15.5 billion when financing costs are included. The Network is not opposed to water for southern Nevada but instead of a short-term pipeline proposes water be gained from increased indoor and outdoor conservation, reasonable limits to growth, re-evaluating how the Colorado River is managed and used, and long-term solar-powered desalinization of Pacific Ocean water. The Center is represented by Marc Fink, staff attorney with the Center for Biological Diversity, and local counsel, Julie Cavanaugh-Bill of Elko, Nevada. The Center for Biological Diversity is a national, nonprofit conservation organization with more than 675,000 members and online activists dedicated to the protection of endangered species and wild places. 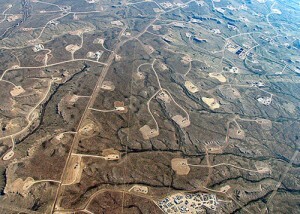 The irony of fracking: It destroys the natural resource it needs most. The tragedy for those living nearby fracking operations: That natural resource is the fresh—and increasingly scarce—water supply on which they, too, depend. And not only does fracking—or hydraulic fracturing—demand enormous amounts of fresh water no matter where it takes places, a troubling new study released Wednesday found that a majority of places where the controversial drilling technique is most prevalent are the same regions where less and less water is available. Overlay the regions where most of the fracking is being done in North American with the places experiencing the most troubling and persistent water resource problems and the resulting picture becomes an alarm bell as politicians and the fossil fuel industry continue to push fracking expansion as the savior for the U.S. and Canada’s energy woes. According to the report, Hydraulic Fracturing and Water Stress: Water Demand by the Numbers (pdf), produced by the non-profit Ceres investor network, much of the oil and gas fracking activity in both the U.S. and Canada is happening in “arid, water stressed regions, creating significant long-term water sourcing risks” that will strongly and negatively impact the local ecosystem, communities, and people living nearby. 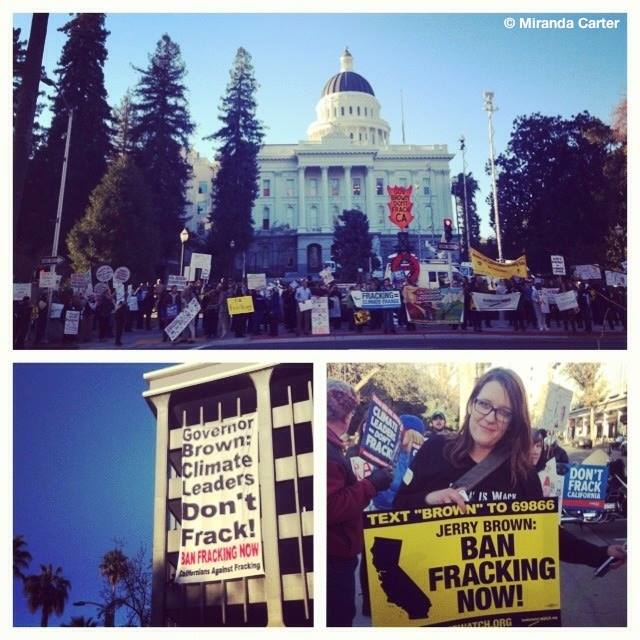 Click here to look at Ceres’ interactive map on fracking and water use. 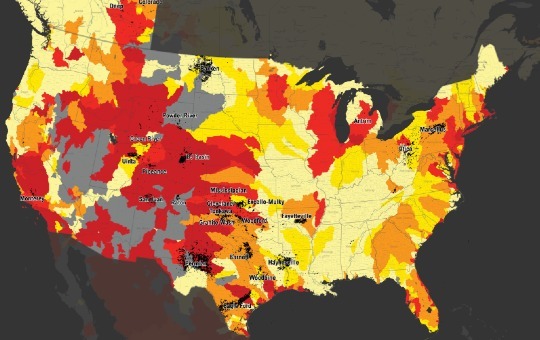 The study drew on industry data detailing water usage from from 39,294 oil and gas wells from January 2011 through May 2013 and compared that information with “water stress indicator maps” developed by the World Resources Institute (WRI). Over 55 percent of the wells hydraulically fractured were in areas experiencing drought and 36 percent overlay regions with significant groundwater depletion – key among those, California which is in the midst of a historic drought and Texas, which has the highest concentration of shale energy development and hydraulic fracturing activity in the U.S. In Texas, which includes the rapidly developing Eagle Ford and Permian Basin shale plays, more than half (52 percent) of the wells were in high or extreme high water stress areas. In Colorado and California, 97 and 96 percent of the wells, respectively, were in regions with high or extremely high water stress. Nearly comparable trends were also shown in New Mexico, Utah and Wyoming. Among hundreds of hydraulic fracturing companies whose water use was evaluated, those with the highest exposure to water sourcing risk are Anadarako (APC), Encana (ECA), Pioneer (PXD) and Apache (APA). Most of the wells being developed by each of these companies are in regions of high or extreme water stress. The top three service providers, Halliburton, (HAL) Schlumberger (SLB) and Baker Hughes (BHI), handled about half of the water used for hydraulic fracturing nationally and also face water sourcing risks. Although water use for hydraulic fracturing is often less than two percent of state water demands, the impacts can be large at the local level, sometimes exceeding the water used by all of the residents in a county. 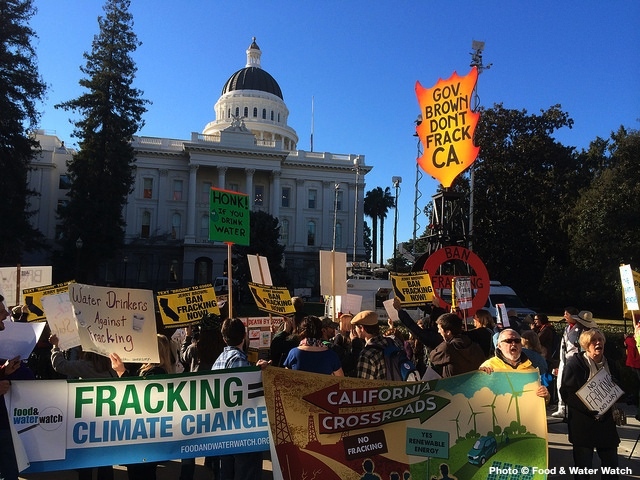 Heinberg observed that the Ceres report is largely written from the standpoint of the oil and gas companies—using much of their data—and directed at those who may be invested or would like to invest in the continuation or proliferation of the industry. 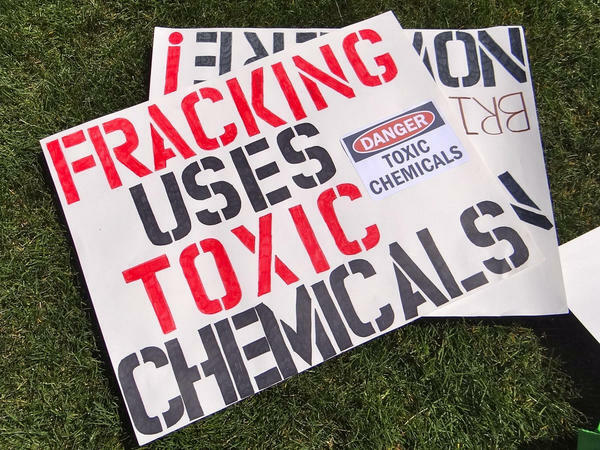 However, he indicated, detailing the increasing difficulties the industry and its investors are likely to experience in sourcing water for their operations is still valuable for those opposed to fracking. 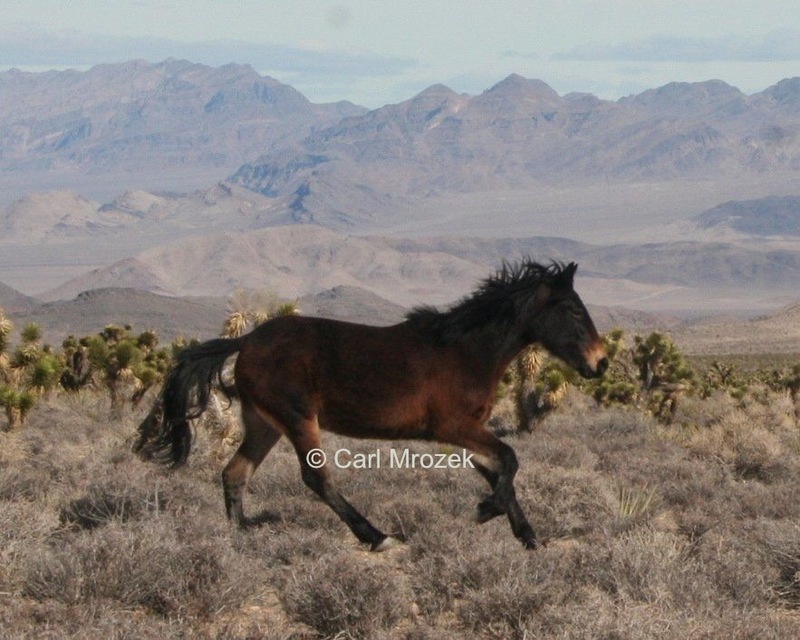 The Antelope Valley, Maverick Medicine and Goshute herd management areas (HMAs) will be ruined if 73 parcels proposed for lease, totaling approximately 125,000 acres, are taken away from native wild horses.The proposed action will push wild horses off their legal range. BLM will chase them with helicopters–removing them forever from their families and ripping away their freedom. Follow the instructions in the BLM press release below to email your individual comments to BLM by midnight February 10th. 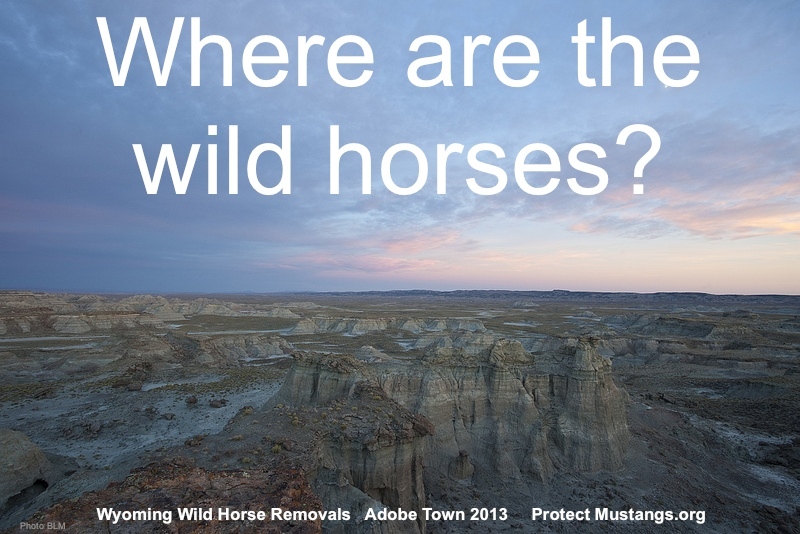 Request BLM halt the lease sale of areas within the wild horse HMAs slated for oil and gas development. Mention it will cause water, air and soil pollution and increase global warming, lower the water table as well as hurt wild horse territory. 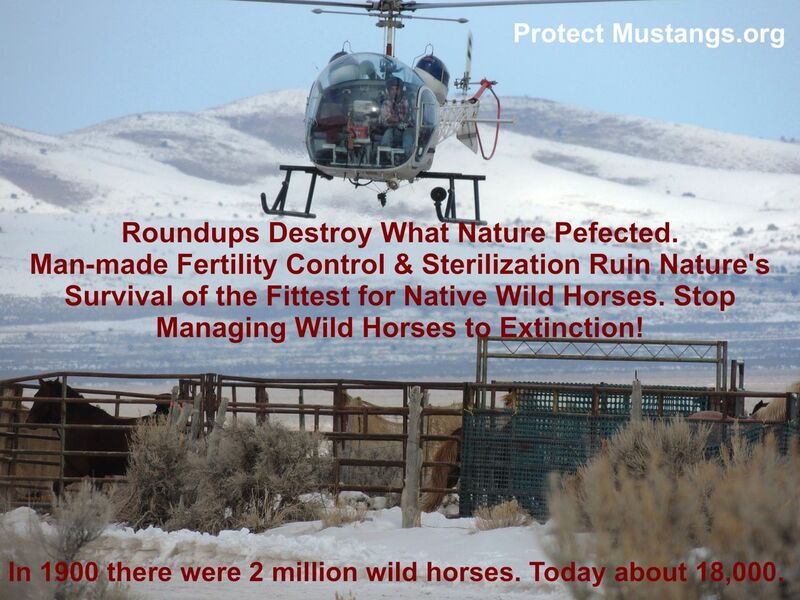 Request a moratorium on roundups for scientific research on wild horse population dynamics and to ensure wild horses will be protected and preserved in freedom. Use your own words to make your comments count. According to BLM, click and send comments don’t count beyond being one form comment. Email your comments today. Short and sweet is fine as long as you use your own words. Some residents in northeastern Nevada have forgotten they have been blessed to use public land at subsidy pricing for generations. Now we are witnessing a worrisome trend with the Nevada Farm Bureau and the Nevada Association of Counties wanting to push America’s wild horses and burros off public land to control the water, forage and industrialization. They appear to be requesting BLM kill wild horses in holding to make room for more roundup victims. 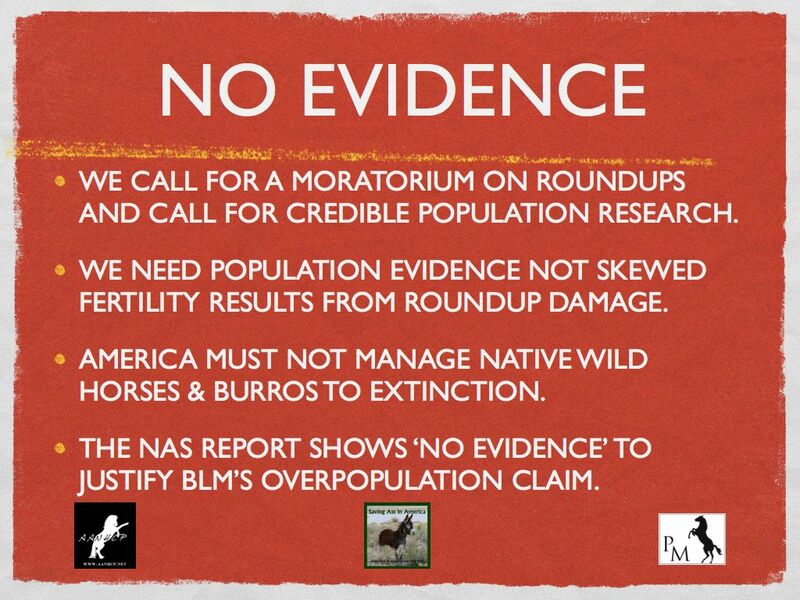 It’s time for science to guide policy and for cooperative agreements to foster healthy rangeland and prevent native species wipe outs. 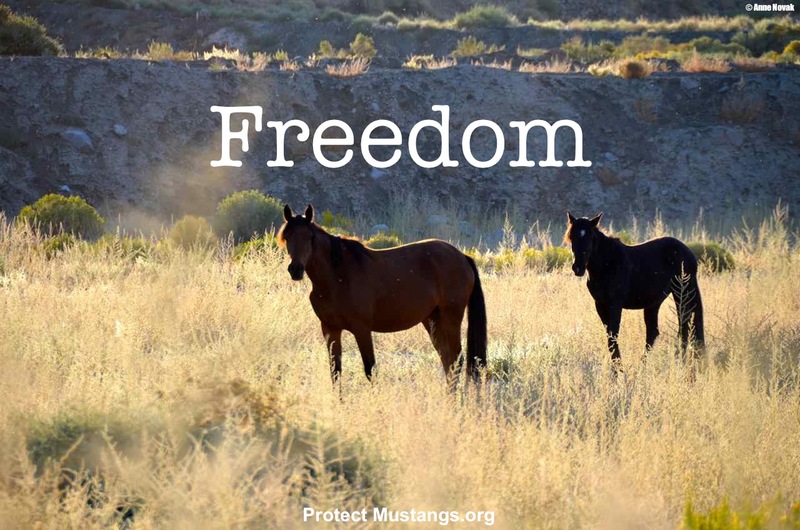 Thank you for sending your comments in today to protect the American public’s wild horses! BLM Press Release:ELKO, Nev. – The Bureau of Land Management (BLM) Elko District is making available for public review an Environmental Assessment (EA) for parcels of public land nominated for lease within the Elko District in the 2014 Competitive Oil & Gas Lease Sale. These parcels have the potential for future oil and gas exploration and development. The 30-day public review period concludes Feb. 10, 2014.The BLM received nominations for 214 parcels of public land to offer for leasing, totaling more than 435,880 acres. The BLM deferred several of the nominated parcels to protect sage grouse habitat. Other parcels were removed because of cultural and Native American concerns. A detailed listing of deferred parcels is available in the EA and online. The remaining 73 parcels (125,220 acres) have been analyzed for potential impacts in the EA, in accordance with the Oil & Gas Leasing Reform mandated in 2010. Lease stipulations identified in the Elko (1987) and Wells (1985) Resource Management Plans are attached to all parcels to help protect resources. The EA is available for public review at: http://www.blm.gov/rv5c.The Competitive Oil and Gas Lease Sale will be conducted on June 24, 2014. Additional information about the sale is available at http://www.blm.gov/nv/st/en/prog/energy.html.If you have issues or concerns or need more information, contact Allen Mariluch, Project Lead at the BLM Elko District, at (775) 753-0200 or email at amariluc@blm.gov.